Compare our prices. We are the cheapest, best quality around. No hidden extras! Our low price includes gloss celloglazing and black print on reverse side!!!! 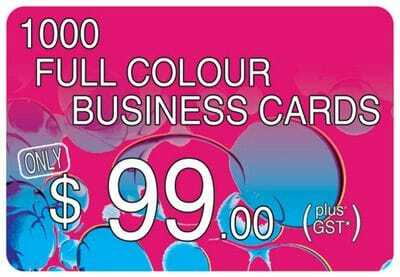 1000 Full Colour Business Cards for only $99.00 (GST excluded). This price includes black print on reverse side of your Business Card!! Your Business Cards will also be Celloglazed Free of Charge!!! You will be amazed how much information about your business, you can fit on the reverse side. Why not put a Calendar on the back? Celloglazing is important - it gives your card a rich full colour and also protects your card so it lasts a lot longer than without. We can copy your existing Business Card - THERE IS NO ADDITIONAL FEE FOR THIS. If you don't have artwork to supply, our experienced In House Graphic Designers can design a new updated layout using your logo and other relevant information. There is a once only REDEEMABLE fee of $50 (1 side) or $65 (2 sides) for this. You never pay this fee again when ordering Business Cards with the same artwork. At this price, there is no need to choose your artwork from a standard on line layout - Why have the same as everyone else? We will design you an amazing card -unique - just for you. You only ever pay this fee once - all subsequent orders are at our low Print Only charge. Simply fill in the contact form and in the message box type - Please send me some samples! We will email or fax you a proof so that you can check your artwork. No need to upload yourself. Therefore, no room for error for the inexperienced user. We do not print your Business Card until you are completely happy with your proof. Remember it is customised for you - not a standard template form, so you will get exactly what you want. THERE IS NO EXTRA CHARGE FOR THIS PERSONALISED SERVICE. We do not charge an artwork fee if you are ordering bulk Business Cards (4000+) for you and your staff. The artwork must be identical except for name and phone number changes - minimum order of each change is 1000. The In House Artwork fee is refunded to you if you order at least 4 x 1000 Business Cards, using identical artwork (except name & phone number change, if required), in a 6 month period - The In House Artwork fee will be deducted from the 4th set ordered. Order your Business Cards with our on line order form. If you prefer, simply phone us on 1300 730 041. Our experienced staff will guide you through the process. Ordering online is simple, click here! CardsPlus will help you make that lasting impression! Professionally printed & designed Business Cards, Magnetised Calendars & Drink Coasters. Whether you are in Queenland, New South Wales, Victoria, South Australia, Western Australia or Northern Territory. It doesn't matter. 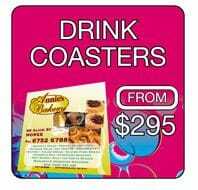 Cards Plus works with a customer base Australia Wide. 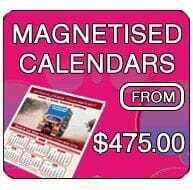 Our quality business cards, magnetised calendars & drink coasters are perfect for your new business or existing business. This is such an inexpensive way to promote and advertise your business to your target market. Providing Businesses with a easy, afforable, professional way to promote their business. Professional looking Business Cards will help you make that lasting, first Impression. You can provide us with pre-designed artwork (see our artwork specs) or our team of professional designers can design your artwork for you. Whether you are located in Queenland, New South Wales, Victoria, South Australia, Western Australia or Northern Territory. It doesn't matter. 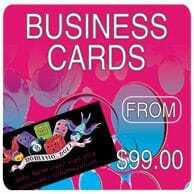 Cards Plus works with a customer base Australia Wide. Supplying Professional, Affordable Business Cards.